Join us for a day of free events and site specific artworks created by artist collaborative Fallen Fruit (David Burns and Austin Young), Natalie Ball, Bill Cravis, Bruce Conkle, Tahni Holt, Aaron Lish, Jess Perlitz, DeAngelo Raines, Caldera Youth and the Portland Art Museum. Everyone is invited to participate! 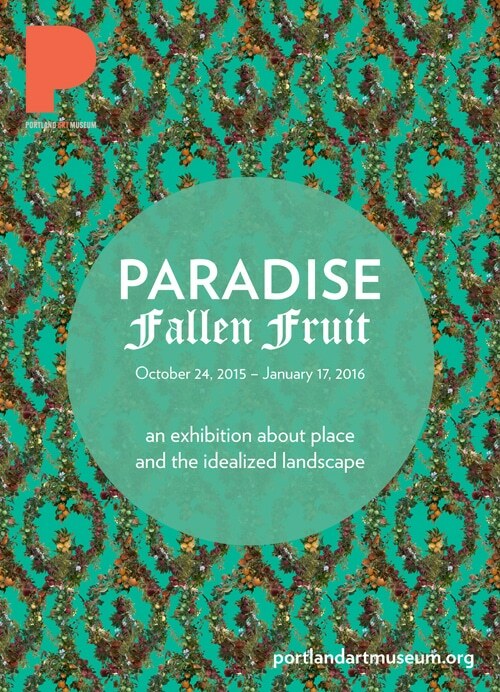 Paradise will move from the museum onto the park blocks and into downtown Portland. 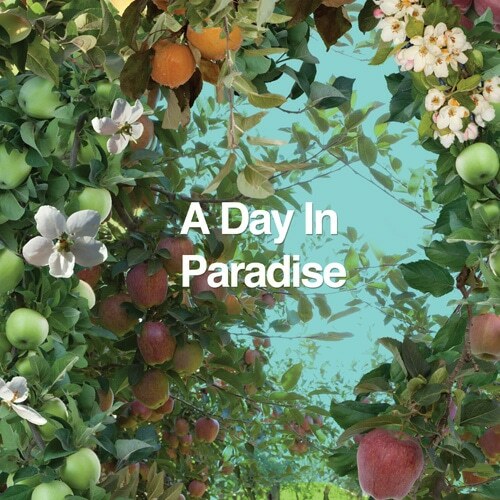 A Day in Paradise will celebrate the opening of ‘Paradise’ at the Portland Art Museum by Fallen Fruit (David Burns and Austin Young) and an exhibition project created by Caldera Youth called the ‘Geography of We’ opens concurrently at the Weiden+Kennedy Gallery. 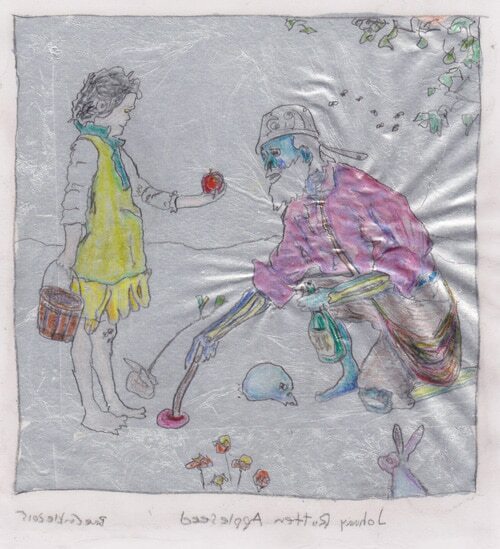 The public is invited to observe, interact and help create collaborative art making that is inspired by the history of Portland, themes of paradise and of course, the apple. War Hoop with us! We’ll make a Magazine together! 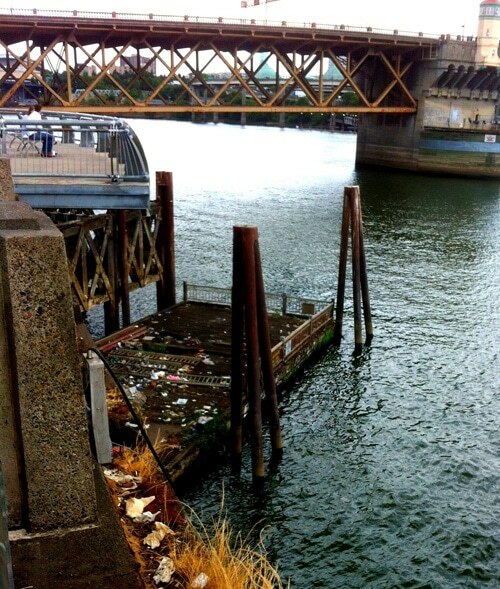 Share poems and songs with the river! 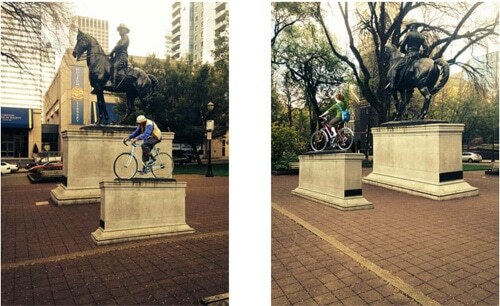 Become a monument! Enter the right hand of the fellowship! Watch a rock move rocks! 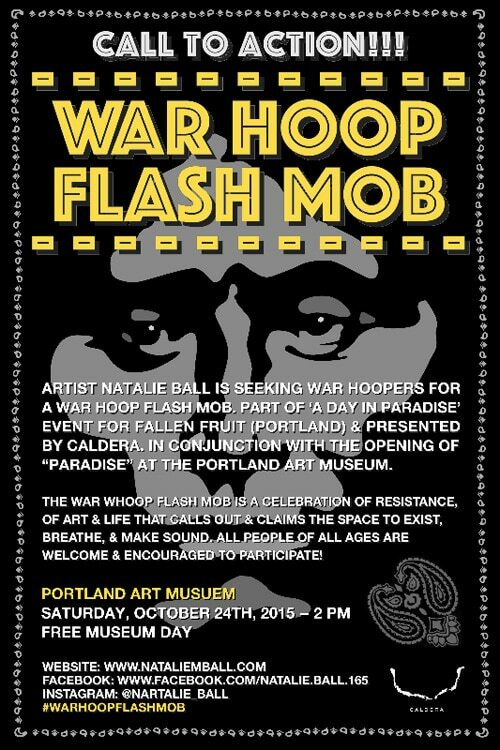 Natalie will facilitate War Hooping as used in battle by Native Americans across the country. Also known as a battle cry, Li-Li is a vocal projection used for intimidation, celebration, and energy charge. Women use Lii-Lii which is a tongue/vocal projection that is LOUD! They still do them today. Natalie will bring people from her tribe to do Lii-Lii, but everyone in the attendance will be invited to participate with them. Bruce Conkle, “Paradise Lost” Bruce Conkle has created apple inspired drawings from history, mythology, and pop culture. He will electronically and astrally project these images outdoors on a large wall along the Park Blocks. Aaron Lish​, Sweet Nothings and Other Stories. 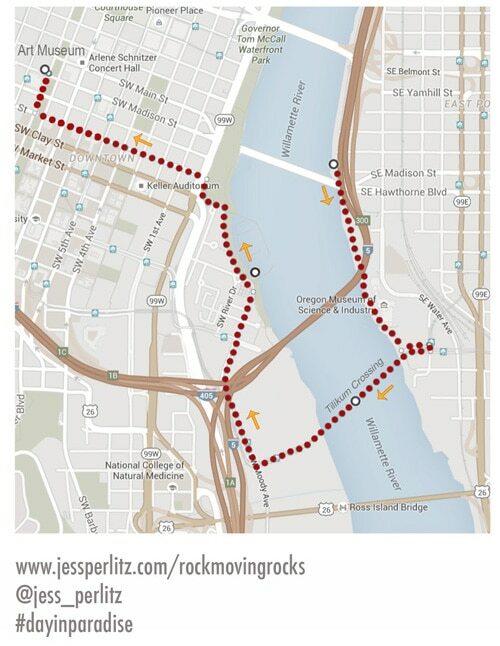 Jess Perlitz Rock moving rocks 11am-4pm, Location: The route for the rock will begin near the Hawthorne Bridge moving along the Eastbank Esplanade, over the Tilikum Crossing, ending at the Art Museum. 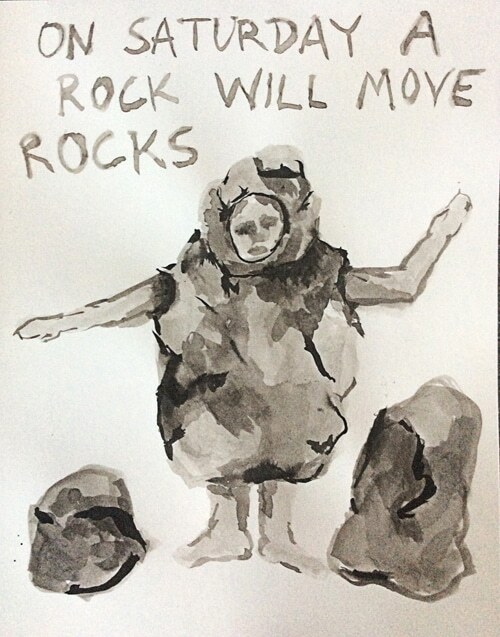 For a day, along the west shore of the Willamette River in Portland, the artist will be a rock and will move other rocks, engaging with the surrounding world. Inspired by landscape and landscaping, landmarks and monuments, natural disaster and our never ending attempts for control, this piece will be an action that unfolds over the course of 5 hours. The r​ock w​ill have arms and legs available so that it may move other similar objects, rest, and engage with people as needed. The rock does not talk. But it does try to communicate through music, action, and presence. With the belief that barriers to identification can be overcome, DeAngelo Raines proposes a performative social engagement installation to exhibit multiple handshakes from 7 different archetypes of the adult African-American Male. 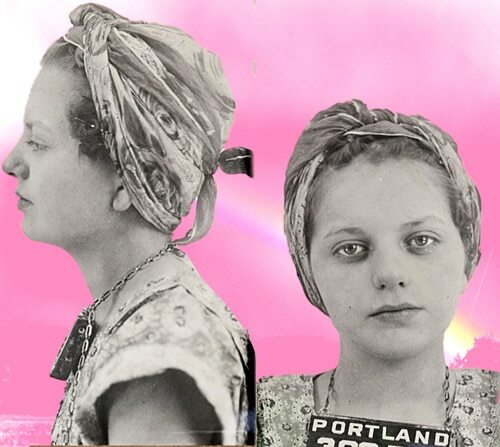 These selected portraits are sourced from a volume of police arrest mug shots found in the City of Portland Archives collections. Created by the Division of Identification, now the Police Identification Division, the photos date between 1947 and 1954. The body of works is presented as a photographic installation in public space that unmasks issues of humanity often camouflaged by social stereotypes and ill-repute of “the other.” The large scale black and white photographic portraits have been installed throughout the Park Blocks of Downtown Portland the same historic locations where people have been arrested for “vagrancy” or other social crimes. 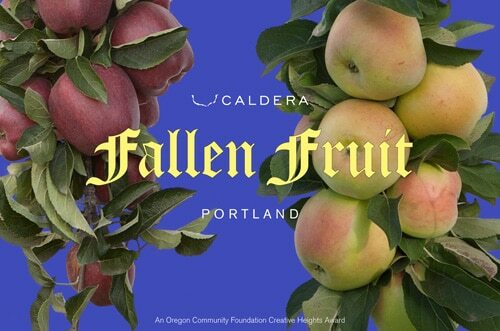 “The Division of Identification” is part of Fallen Fruit of Portland presented by Caldera through a Creative Heights grant from the Oregon Community Foundation. Caldera students will interview the public and each other about reactions to the portraits for broadcast on KBOO. This exhibition, on display in the Portland Art Museum’s Arlene and Harold Schnitzer Sculpture Court October 24 through January 17, More information can be found here. The Culture of We showcases the power of creativity through the voices of Caldera students. Inspired by Caldera’s environmental themes, student work displayed reflects unique youth perspectives, reactions, and inspirations surrounding “The Geography of We”. 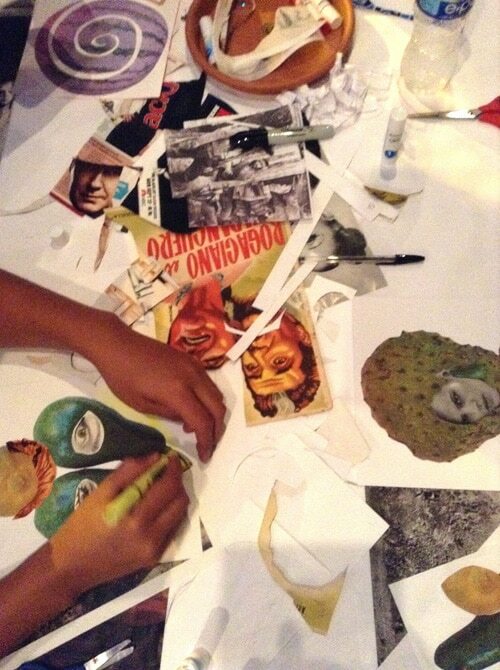 Artwork is installed salon­ style, and will create a dialogue of how the individual contributes to community. This exhibition highlights Caldera’s focus on the integration of art and nature and powerful work with special guest artists like Fallen Fruit. Hey Portland! Anyone can participate! If you have space to plant near a sidewalk, can care for the tree, and include it on the Urban Fruit Trail map, please email us! 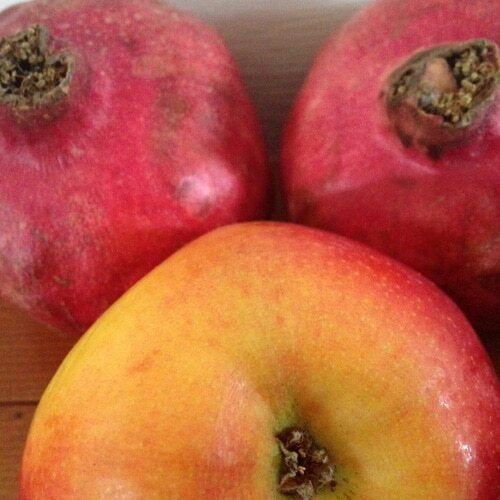 info @ fallenfruit.org. 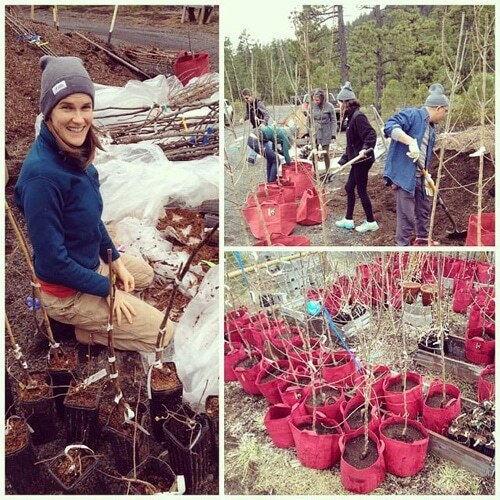 Caldera and Fallen Fruit are producing an installation and public planting of approximately 200 fruit trees in community gardens, private homes, churches and businesses that allow public access to fruit. Caldera youth, their families, Caldera’s Arts Partner middle schools, along with the greater community of Portland will celebrate family stories and histories, local facts and historic lore along the trails through signs at tree sites and with an interactive online Urban Fruit Trails map. Trees will be geo­tagged for anyone to digitally view art, read stories, and look at videos inspired by the apple trees. 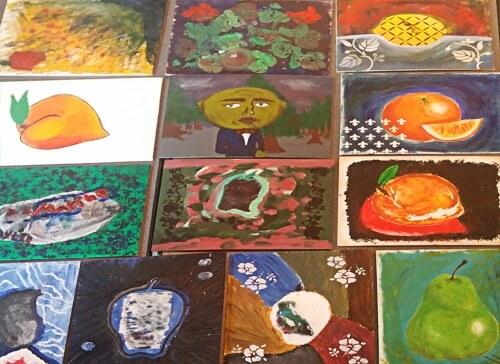 P​artners: P​ortland Fruit Tree Project, Friends of Trees, Know Your City, Oregon Food Bank, Portland Art Museum, Root Pouch, Concordia University, Open School North and others to be announced. Established in 1996 by Dan Wieden, co-founder of the Portland, Oregon-based international ad agency Wieden+Kennedy, Caldera is a nonprofit organization that supports youth with limited opportunities through long-term mentoring and arts and nature programming, as well as provides fully subsidized residencies to adult artists. It provides year-round youth mentoring through 12 Arts Partner middle schools (six in Portland and six Central Oregon), high school programming, and summer camp at its Arts Center on Blue Lake near Sisters, Oregon. More information at www.CalderaArts.org. Elizabeth Quinn is the Creative Director for Caldera. Previous to her work at Caldera, she was the Founding Editor of High Desert Journal, a publication that strives for a deeper understanding of the interior West through arts and literature. She also helped found Playa, a residency program in Summer Lake, Oregon, and was the Director of The Dalles Art Association. Having worked across Oregon, Elizabeth has developed in-depth knowledge of arts communities throughout the state and an understanding of the unique needs of artists from diverse backgrounds. Through a four­ year initiative (2014­2017), the Oregon Community Foundation’s Creative Heights Initiative provides grants to help arts and culture organizations take strategic risks in the creation and dissemination of their work in Oregon, provide unique opportunities for Oregonians to experience innovative arts and culture, and to increase Oregon’s cultural visibility and vitality. more information here.